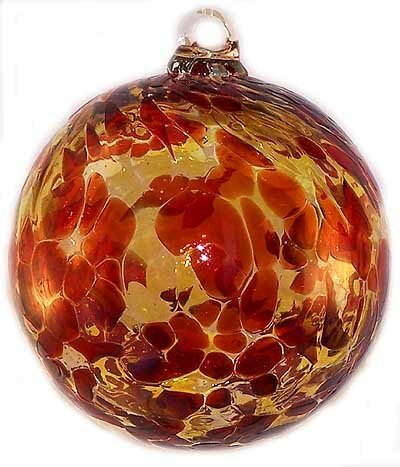 Bright transparent colors of Garnet Red and Gold Topaz are overlaid into the clear glass to make the design. Iron Elegance's Hand Blown Glass- Each One Handcrafted, Unique and produced with Earth friendly recycled glass and production processes. Finest German glass overlay colors. Friendship Balls (Kugels) are a traditional offering of love and friendship. Can be used indoors or outdoors. One can never have too many! Collect them all!